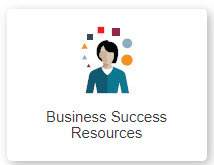 Today I introduced the Business Sucess Resources page on the OSvC Technical Support web site where North American customers can find answers to business questions such as those involving sessions usage, invoicing, product best practices and sales referrals. Business Success answers have been curated for easy access and will multiply as we add more resources to the page. If you missed the session and have ten minutes, watch the recording or review the short presentation. If you have suggestions for additional resources, please share them in our Suggestion Box. If you interested in learning more about reports, please register for our next OSvC Technical Support webinar. Senior Business Analyst, Mallory Weber, will discuss some of the more complex functionality in OSvC reporting and share her work.